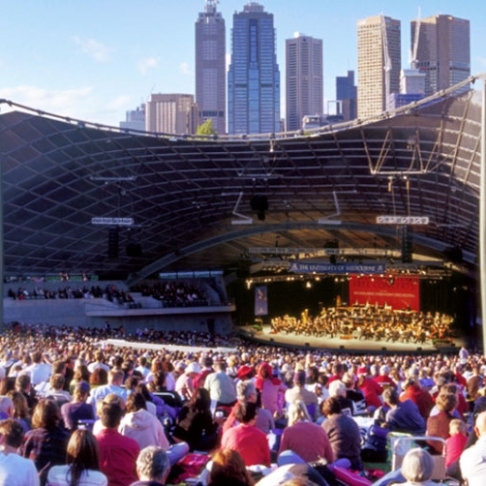 Melbourne Symphony Orchestra’s Sidney Myer Free Concerts, presented in association with the University of Melbourne, are the perfect soundtrack to summer in the city, bringing together timeless music and great artists against the backdrop of sunset at one of Melbourne’s most iconic outdoor venues. Admission is free and gates open at 4pm. Terms and conditions of entry can be found here. The MSO’s beloved summer series returns with a program of star-crossed love, opening with Tchaikovsky’s Fantasy Overture Romeo and Juliet. Ravel’s Daphnis and Chloe conjures An ancient tale of desire tantalisingly out of reach, while the spirit of romantic love pervades Strauss’ songs. This homage to amour closes with Porgy and Bess, Gershwin’s musical love story fusing New York jazz with musical traditions from America’s Deep south. 2 hours with 20 minute interval. An enduring audience favourite, Brahms’ Hungarian Dances evoke the smouldering energy of the gypsies, while Bartók’s Concerto for Orchestra, one of the greatest masterpieces of the twentieth century, draws simple folk influences into a grand orchestral vision. Bridging these grandiose works is the sublime poetry of Liszt’s Piano Concerto No.2 – a radiant composition from one of the world’s greatest pianists. The rousing finale to the MSO’s 2015 summer series, this spirited program opens with Smetana’s exuberant overture to The Bartered Bride, while Tchaikovsky’s much-loved Violin Concerto brings Slavic melodies into the fray. The last word is saved for Dvorˇák’s Symphony No.8, a lively evocation of the composer’s deep affection for the Czech countryside and its people.